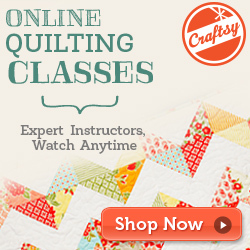 Once again Amy has organized a whopper of an online quilt festival for us all! My one big quilt finish of the year was complete in time for Spring Festival, so I'm going back in the archives a bit to show you one of my favourite little swap items that I sent away. 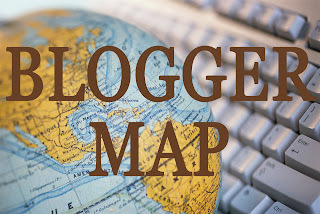 Swapping was such a wonderful way to find new friends when I first started blogging and sharing on flickr. I pushed myself to design original work; sometimes that was really hard. Usually, I relied on my photographs for inspiration, as I did here for this row of birdhouses on fence posts. This is a tiny little art quilt measuring less than 8" x 10", I think. It is made from felted wool appliqued onto a canvas basecloth. The wool is secured with machine and hand embroidery and there a few wee buttons and french knot Queen Anne's Lace for extra embellishment. You can read more details about the construction here. This mini was sent off to Nanette but we also shared it's image with all of our family and friends because we used the photo as our Christmas card in 2010! Here is the inspiration photo for the little quilt, taken not far from my parent's cottage on the Bruce Peninsula in Ontario, Canada. 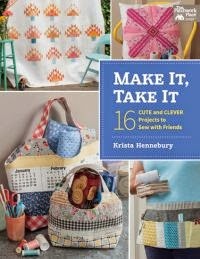 Oooooh...I love this quilt...and it deserves SEVERAL revisits! Thanks for sharing!! I just love your bird houses. I remember this little quilt, it is just stunning. Every detail is perfect. The picture of the real life fence is such fun too. Really lovely little quilt. Like the grass and Queen Ann's lace. Has a peaceful feeling to it. I just took a week of classes with Sue Spargo ~ learned the best stitches! It was so fun to meet her and learn new things! Um, stinkin' adorable? Yep. Definitely. Wow, so unique Krista. Just lovely. Oh I love this quilt. So nice to see it again. I remember this adorable little quilt! Gorgeous work Krista! Love it! Love the texture of the wool, the thread detail, and hand stitching. Looking forward to seeing more wool work! you executed your inspiration very well. Beautiful! I love birhouses. And I like your photo also. A great rendition. This is just adorable. And the picture of the actual mailboxes, well, I would frame that and hang it on my wall. I remember that quilt very fondly--love it. 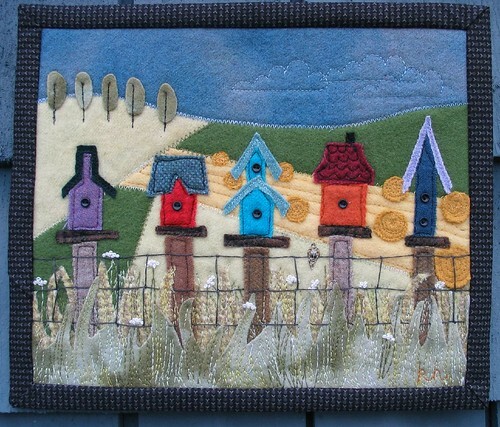 I like your Bird houses on the fence quilt. Bird houses are on my whimms list. Too many Quilts never enough time. This is so lovely. Lucky recipient. It is always good to try something different. 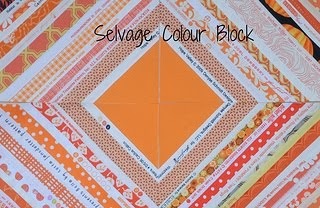 Oh my gosh, this quiltie just makes me happy!!! Art quilts are so fun! So charming by every sense. I love the inspiration photo as well and that alone makes for a wonderful print. Great cut-over to the mini quilt. Beautiful art quilt! Love the birdhouses! I haven't done any wool applique but this is inspiring! 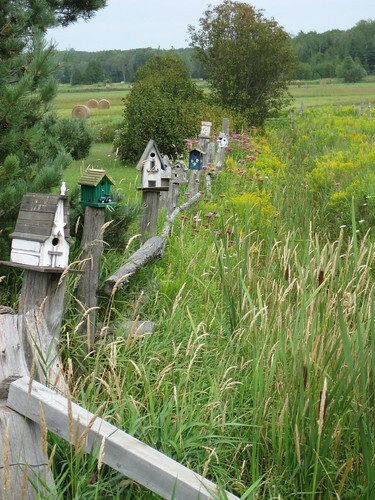 Love the little bird houses and far away trees! Your work is adorable! One of my favourites for sure! That mini is just adorable! P.S. I can never allow my hubby to see this post, because once he lays eyes upon the photo of your parents' cottage, he'll finally drag me up to Canada so he can live out his fantasy of being a swarthy wilderness man/lumberjack like Hugh Jackman in Wolverine. I totally love this!It's so charming and what a great memento of a lovely part of the world near your parents. This is indeed something different but a great one, too. I love both your inspiration photo and the finished mini. What a fun quilt and I love the idea of using the photo for a Christmas card. This is beautiful Krista!!! Wonderful rendition of a great photograph. I love all the birdhouses in both versions. Good idea to use as a Christmas card. Your swap partner must have been thrilled to receive this artwork. Thanks for sharing.